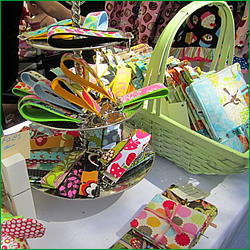 The Unique Boutique Spring Craft Show takes place in Centennial Colorado in March. Unique Boutique Craft Show is a juried / hand crafted by the artisan show. The show is Boutique style / central check out. Showcasing over 70 artisans from around Colorado for 24 years. We host 3 shows a year. One in the spring, Fall (September) and Holiday ( Nov). Contracts have been seen out to returning vendors – for the spring show – Dec 1st – we will be jurying for new vendors – with deadline of Jan 15. Booth spaces are 8×10 for $105 or 10×10 for $120 – and 12% commission.